The Vagabond is the ideal set up for a multi-functional space that requires a limited set up. The platform bed with additional benches takes advantage of every inch in your van enabling under-bed gear storage as well as an indoor seating option for those times you may be working on during your travels. The Vagabond model can be upgraded with an indoor shower enclosure. 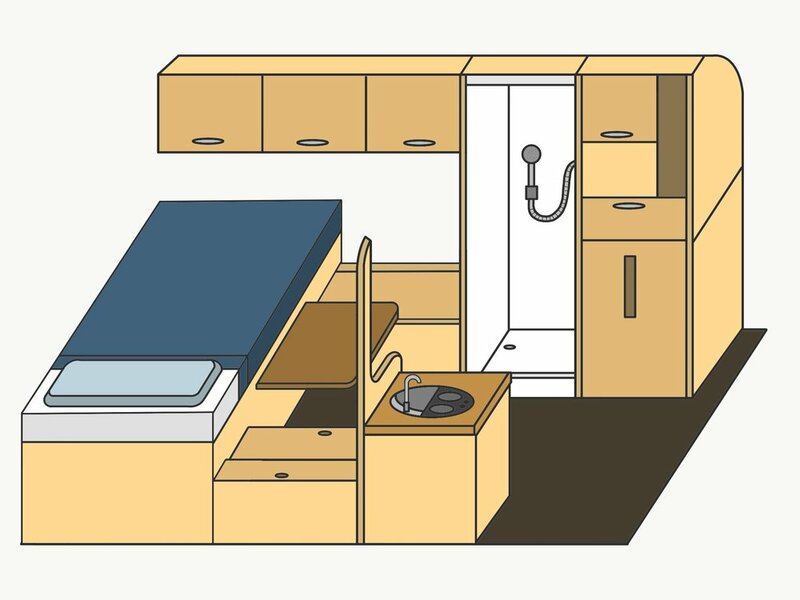 The shower enclosure will replace a portion of overhead cabinets, and a storage cabinet with counter top space, as seen below.